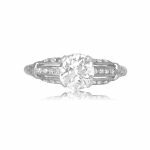 A delicate original vintage engagement ring that centers a lively GIA certified 0.46-carat old European cut diamond, G color, and SI1 clarity. 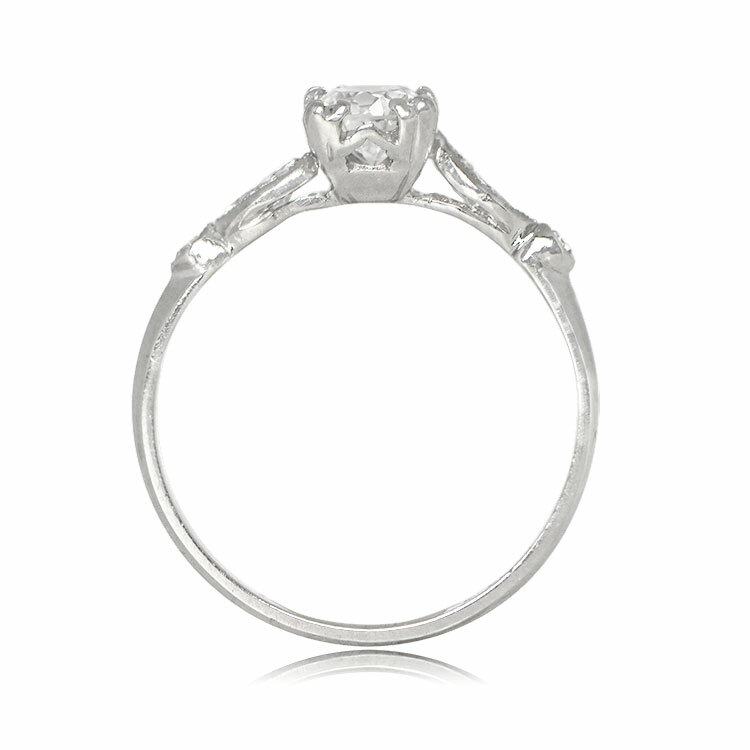 Along the shoulders feature a marquise cut diamond and a single cut diamond on each side. 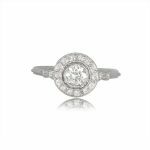 This ring is platinum and is from circa 1945. 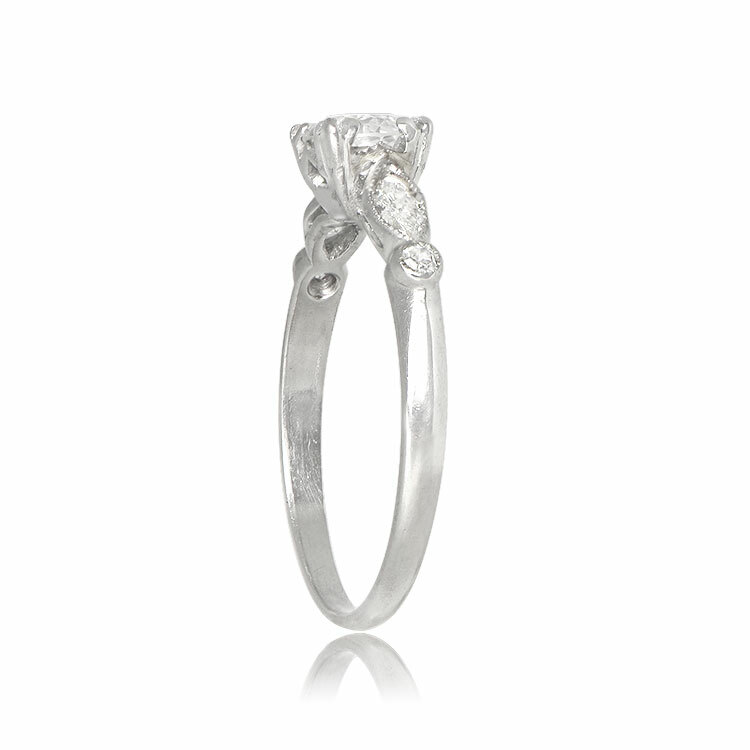 The known measurements of the center diamond are 4.89mm x 4.88mm x 2.98mm. If you have any questions about the Southwell ring, please feel free to contact us. 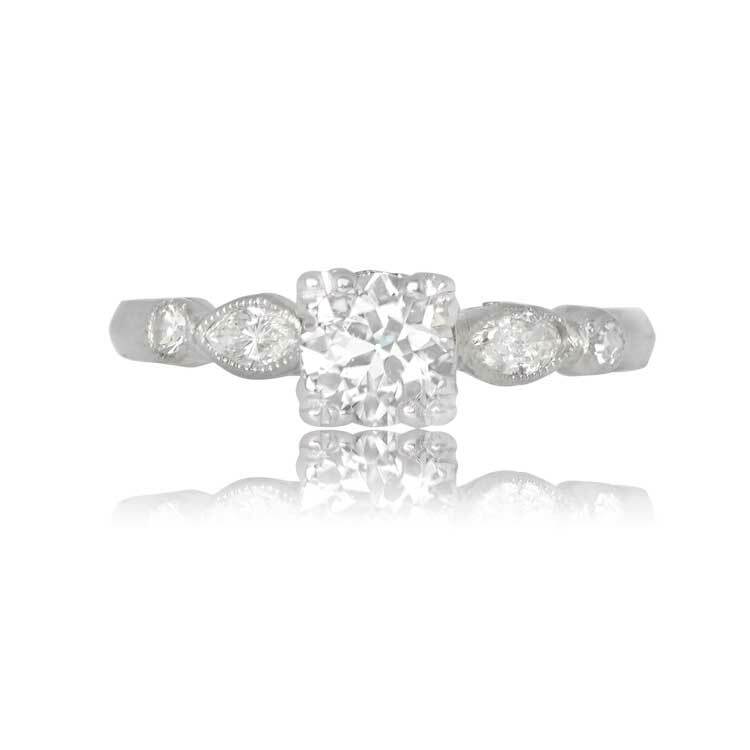 SKU: 12326 Category: Vintage Engagement Rings - Contact us and request additional pictures.